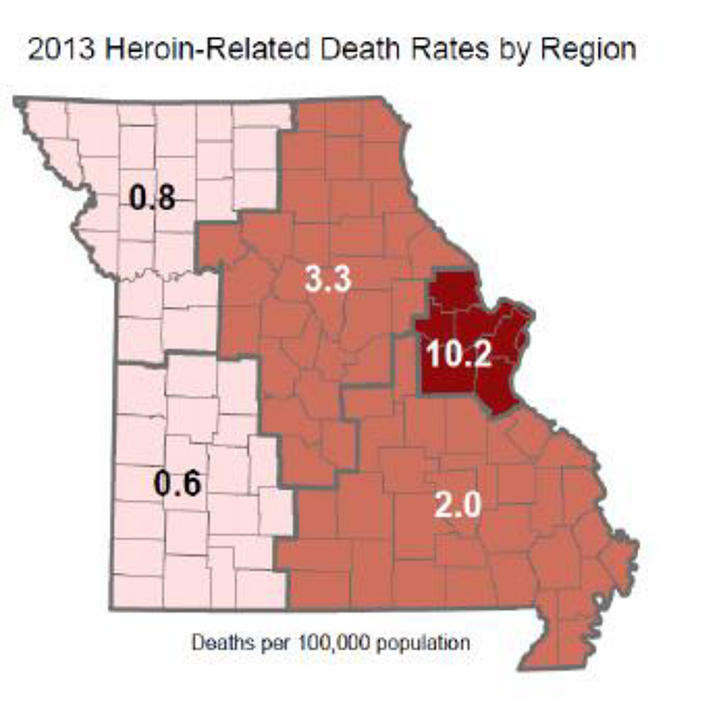 Missouri heroin-related deaths per 100,000 residents. I spoke with eight law enforcement agencies, including those that deal with some of the highest overdose rates in Missouri, and none are currently using naloxone. The only agency that seems close to adopting the drug is the Pulaski County Sheriff’s Department in the south central part of the state. Pulaski County is a rural area with a population of a little more than 50,000. But they have a dedicated community collation that is working to fight the drug problem in their community. The collation was formed after the heroin overdose death of James Carmack, a young Pulaski County resident, in 2013. In a previous story, one of Carmack’s best friend, Tiffany Addington, recounted what it was like to lose him. Not long after his death, Addington paired up with James’ father, other concerned residents and Sheriff Ron Long. “In my first few months in office I saw three young people that had been killed by heroin overdoses.” Long said. “So, it's like, we have to do something about this. The coalition soon reached out to their state representative, Steve Lynch, who is also a childhood friend of James’ father. Lynch sponsored HB2040, which was signed into law last July, and two other bills related to naloxone and addiction during the 2015 legislative session. It has been more than a year since the law took effect, and the Pulaski County Sheriff's department is poised to train its officers to start using the drug this summer. Major Tom Reddin with the Boone County Sheriff’s department wasn't aware this legislation had passed, but was aware of proposals addressing the issue. Reddin also said that in Boone County, due to a greater number of paramedics, law enforcement officers often arrive to the scene of an overdose after the paramedics. Representatives from agencies in rural Franklin and Lincoln Counties, which surround St. Louis, also said that paramedics often arrive on scene first and those medical processionals already carry naloxone. Others, like the St. Louis County Police Department, had to prioritize events in Ferguson last fall, following the shooting death of Michael Brown. Data from the St. Louis County Medical Examiner shows a rate of 10.7 heroin-related deaths per 100,000 population. Higher than in previous years. According to the St. Louis County Department of Public Health, the county – not including the city of St. Louis - had 113 heroin-related deaths in 2014. As of today, 96 have been verified as county residents dying within county borders. This number could increase as more analysis is completed. Dolly added that the department plans to begin a pilot program by the end of this year. Lieutenant Jason Grellner, the Vice President of the Missouri Narcotics Officers Association, said he is concerned about cost, liability and proper storage when it comes to officers carrying naloxone. “We don't have the capability to control, to keep tight control on where this medicine is at and to make sure that is going to be available and useful at the time that we need it,” Grellner said. He added that while officers may not be the best option for carrying naloxone, he does hope that access to naloxone will be expanded to include the family and friends of addicts who are often already at the scene when an overdose occurs. “I think having it readily available at the scene is always a much better idea then waiting for someone to show up with it,” Grellner said. 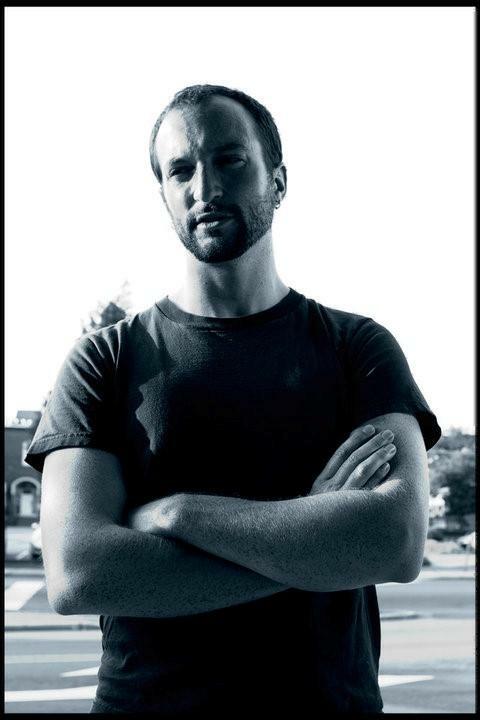 Robert Child is the executive director of the North Carolina Harm Reduction Coalition, which educated North Carolinian law enforcement about naloxone and assisted in setting up naloxone programs. Robert Childs, the executive director of the North Carolina Harm Reduction Coalition, said cost may vary by state, buying history and order size. He said that he has seen multiple quotes for intranasal naloxone ranging between $90 - $140 for a 2-dose kit. Grellner said there are worries about liability because the intranasal version of naloxone is an “off-label" use of the drug. While intranasal administration of naloxone is an "off-label"use, it is considered common "off-label" use and is the primary method of administration for officers in states with naloxone programs according t0 the Bureau of Justice Assistance Law Enforcement Naloxone Toolkit. A group of researchers recently addressed these liability concerns in an article published in the August 2015 issue of the American Journal of Public Health. The research concluded that officers assumed no extra liability by administering naloxone. Corey Davis, one of the researchers involved, added that the liability risk for administering naloxone in an overdose situation is extremely low, regardless of administration method. "Liability risks related to naloxone administration are similar to or lower than those of other activities in which LEOs commonly engage." Concerns have also been raised about storing naloxone, which may have to sit in a cruiser where, in the winter, the temperature falls below freezing and, in the summer, becomes superheated. While police cruisers do reach these extreme conditions, Childs said that in some states law enforcement officers treat their naloxone like they would their firearm. “Where they take their gun, they take their Narcan,” Childs said. He added that this could include putting the naloxone on their belt, carrying it on their person or removing it from the vehicle and storing it inside overnight. "Where they take their gun, they take their Narcan." A 2008 study published in the American Journal of Emergency Medicine and done by researchers in Springfield, Missouri, sought to test the effects of extreme temperatures on common emergency medical service medications. Naloxone was among the medications included. During the study, the medications were cycled for 28 days between the temperatures of approximately 21 degrees Fahrenheit and nearly 130 degrees Fahrenheit. For the sample of naloxone tested, 89.62% of the initial concentration was remaining at the end of the study. There are currently 24 states that allow law enforcement to carry naloxone and, in many, lives are being saved. New York reported over 100 lives saved in 2014. And Georgia has had 31 reported overdose reversals since law enforcement began using naloxone in April 2014. But Leilani Attilio, with the North Carolina Harm Reduction Coalition, said she is not surprised that Missouri law enforcement is not yet using naloxone. 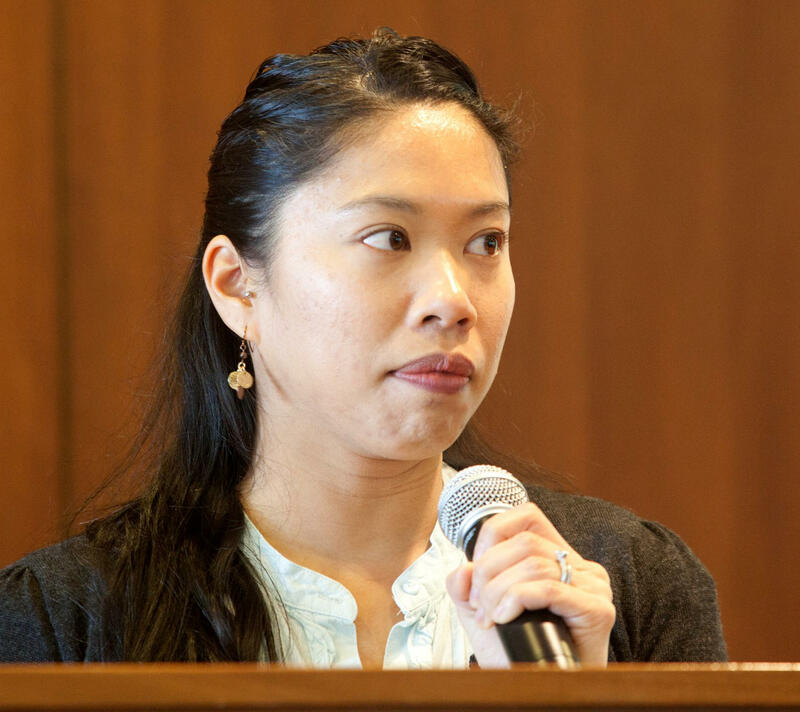 Leilani Attilo, MPH, BSN, RN, is the Harm Reduction Medical and Advocacy Coordinator. She said for implementation to take place in Missouri, an independent community group would likely need to take it upon themselves to teach officers how to properly use the drug. The North Carolina harm reduction coalition taught officers in its home state about how to use the drug and helped set up law enforcement naloxone programs after North Carolina’s naloxone law passed two years ago. “We knew that we needed to continue the advocacy for it to be implemented because none of these laws are self-implementing,” Attilio said. She added that police and sheriffs associations could also lead the charge, but if no one does step forward it’s likely the officers won’t receive needed naloxone education or help implementing programs. She said this would make the adoption of the policy extremely slow. Back in Pulaski County, the friends and family of James Carmack made access to naloxone a priority, and Sheriff Long says they should have naloxone in cruisers within the coming months. "Our job is to save a life... So why not Narcan if you know that somebody could die. That is a no brainer to me." More than 50 heroin traffickers have been arrested for crimes committed in St. Charles County. 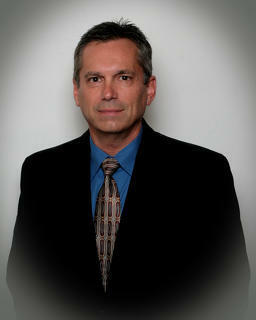 Most were arrested in a 30-hour period, bringing a swift conclusion to a ten-month collaborative investigation. 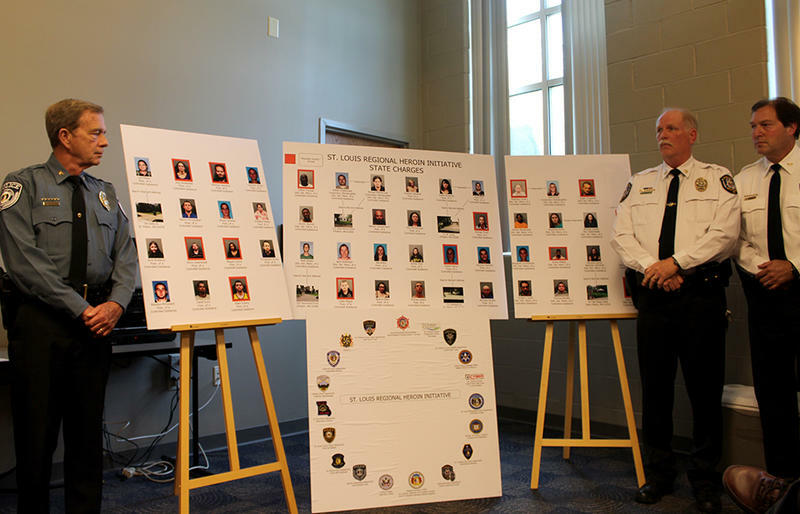 Since last fall state, local and federal authorities have been working together to bring about the arrests, representing what the head of the St. Louis region’s Drug Enforcement Agency described as a more proactive partnership than past collaborations. The CDC reported in March of this year that the Midwest now sees higher rates of heroin overdose deaths than any other region of the country. The rate for heroin related deaths in the Midwest increased nearly 11-fold between 2000 and 2013. Members of Missouri Law Enforcement said that opiates, including prescription drugs and heroin, have become more commonly abused in recent years. According to the St. Louis County Health Department there were 113 heroin related deaths in 2014. And according to the St. Louis City Department of Health there were 123 heroin or opiate overdose deaths in the city. Here a lawmaker, a treatment expert and families talk about the impact heroin and opiates are having in Missouri.